Some Cosmic Clerics revel in the horrors beyond. 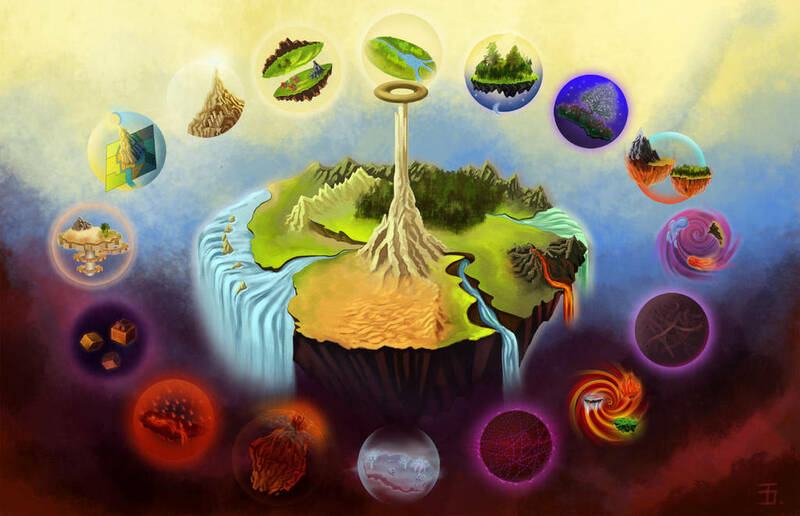 The Cosmic Domain offers a pinch of Lovecraft, a bit of Spelljammer and the vast knowledge of a far greater universe. Author’s Note: I wasn’t overly fond of my original Eldritch Domain from a ways back. So, like with the Nightmare Sorcerer becoming the Dream Sorcerer, the Cosmic Domain was created. I wanted to come up with some abilities that scream “outer space”, but I had a bit of a struggle. Hopefully, you enjoy. And, if you have ideas on how to build those ideas, let me know! Throughout the D&D multiverse, there are a plethora of powerful monsters and strange foes. In some instances, their desires and goals can be met easily, gaining a trusted ally in an alien realm. Many wield powers never before seen by a denizen of the prime material plane, while others seem like familiar variants of the all too familiar. Here is a list of a few examples of fantastical planar monsters and NPCs encountered on various worlds, planes and the like. Author’s Note: So, I’m getting back into the swing of things, slowly but surely. Or at least, as best as I can during retail holiday season, as day jobs help pay the bills. Anyway, I kinda dropped my horror content out of the blue. Usually, I keep that ball rolling well into December, but I kind of dropped it this year. Likewise, my patreon needs more updates than what I’ve been giving. Anyway, I’ve been finding either older books or reprints on DM’s Guild lately and it has made me quite nostalgic. While I can’t recapture those days with older editions, I figure I can transport some of my favorite things to the current edition. I hope everyone enjoys this as much as I do. The endless struggle in the planes beyond. This is brief summary of the Gith, a displaced and wounded people. Long ago, they came to know suffering under a domineering race of creatures known as “Illithid”. The horrid creatures broke and enslaved these beings into servitude, harvesting them when it became convenient. In a showing of will and defiance, rebellion lead to the gith breaking free. However, factions arose over what to do with their newfound freedom. The split lead to the rise of many new groups rife with their own strange philosophies and viewpoints. Despite this fracturing, each respective faction remains strong and proud in their own manner. Each continues onward in their ideals. Each finds their place in the multiverse. However, they remain sullied by hatred and biases of the past. Many refuse to deal too much with their kinds, lest they risk getting dragged into Gith politics. However, a wise and powerful ally is usually welcomed within a team. Author’s Note: Wouldn’t you know it? I’m not overly satisfied with a non-core book on races, once more. Mordenkainen’s Tome of Foes is by all means a great book in terms of conflict inspiration as well as monsters, but I was eager to do my own take on things. As I’m a master of reinventing the wheel, here’s my own take on the Gith. But, in all seriousness, I’ve been wanting to this for a while. Even before Tome of Foes was announced, I wanted to do a whole assortment of Planescape races. The new book just encouraged me to get to it. Mind you, most of this was already pondered when the initial unearthed arcana article came out. Wizards gave the A-OK to drop their news early, so I figured I’d help share the fun. In short, I’ve been contacted by Wizards of the Coast to help craft their latest product, a world-related expansion book as well as tie-in adventure. While I can’t say too much, all I can say is that Spelljammer is indeed confirmed. On top of that, I’m helping the write the sections on it. As for plot, it will be an overarching multiverse story, akin to the previous modules… but on a much grander scale. I’m not allowed to disclose further on that though. If you wanna see more, hop on over here to check the entire announcement on the D&D Youtube page! The Planetouched, truly incredible beings. Such people can trace their ancestry to a powerful planar phenomena. Perhaps they were literally born from an ancient union of mortal and creature. Perhaps they are the result of arcane dabbling with such powers. Maybe they’re the consequence of a warlock’s pact! No matter the cause, the planetouched are usually the result. Outside of hubs like Sigil, the City of Doors, such beings are extremely rare. Some can be found in more accommodating locales like Mulhorand on Abeir-Toril or The Rock of Bral in Wildspace. Either way, it’s likely that the average person will either never encounter such people or never know that they have. Despite contrary claims, it is quite challenging to pin the plane-touched to a unified species or entity. While some are indeed more unified than others, this is not the case as a whole. You may see a Tiefling with horns and a tail; another with large monstrous clawed feet, a serpentine tongue and scales traveling parts of their body. 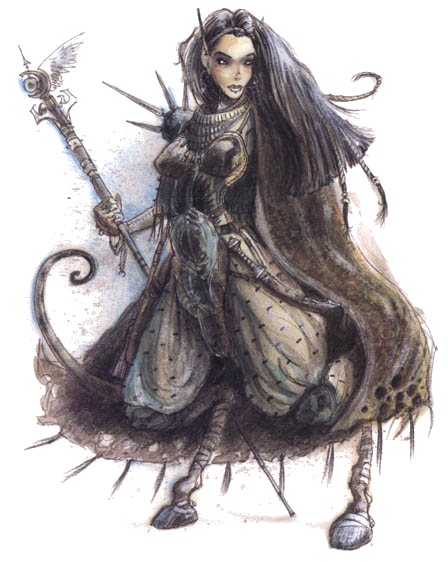 Likewise, you might see the most gorgeous Aasimar in existence, while another one is uncanny and horribly alien. No matter whatever the case may be, I’m so glad you chose me as your Tout… That’s cager for (usually paid) source of information, a guide of sorts! So, plant your hind in a decent enough seat, now’s your time to learn a thing! (It might save your head later!) Also, please focus on me. My little friend Dib will behave himself, I promise you… as long as you cork your bone-box and open an ear. Author’s Note: This was one I’ve always wanted to do. While not much of a “challenge” for me to tackle compared to other stuff, it mostly came down to filling gaps I noticed in 5E. A lot of awesome planar flavor was missing and I wanted to remedy that the best I could. So, here’s some extra options for planar races and then some! 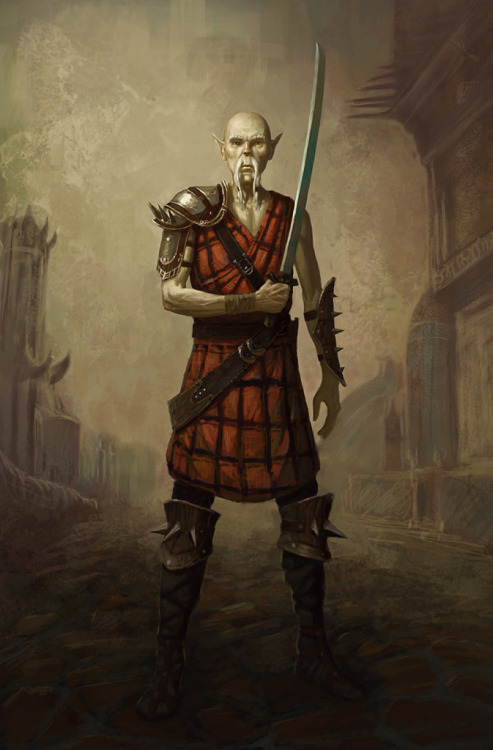 Many tend to stick to a formula of sorts, but that’s what you get from sampling from similar races from various similar sources such as the Planescape setting, various Dragon articles and Pathfinder. Sure, it’s not as open as the original charts, but this is a compromise of old and new. Also, with the amount of attention touts such as Kylie have gotten recently through podcasts like Commander Holly’s “Trapped in the Birdcage”, I had to borrow her for an article! Enjoy. *XGtE refers to Xanathar’s Guide to Everything. *SCAG refers to Sword Coast Adventurer’s Guide. “How could such an environment lead to this? Is this a dragon? It barely seems to qualify. Unlike others, it shoots a strange, destructive light from its mouth… It baffles the mind.”- From the journal of a traveling scholar. Star Dragons, born from the deep cosmos, are a rare draconic breed. Some think they are crossbred between a true dragon from another realm and something truly alien. 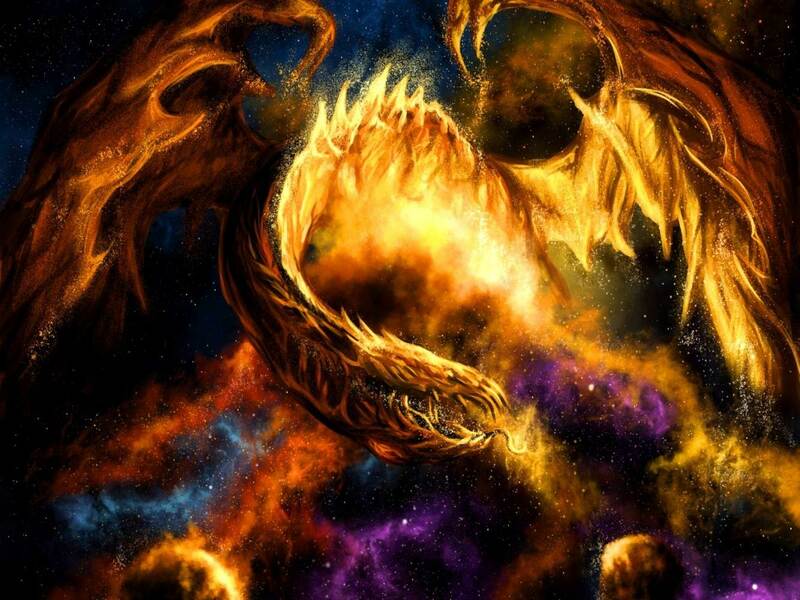 Others believe that they are another reality’s manifestation of dragon. They could very well be an evolution of primordial energy from the distant depths, gaining awareness as it gained form. None the less, such a creature is capable of unleashing a fearsome power that is true to their kind. Unlike any element, they can release a matter consuming light. Few are sure if it is a kind of radiation, a laser beam or something else entirely. On top of that, it is said that they hold the ability to phase through reality and travel among the stars themselves. Those who have encountered them have either contended with a brutal foe or an incredible ally. Indifferent to plights, powers and people; the star dragons prefer to distance themselves from conflict. But, if one is convinced to aid, they will become an invaluable source as long as there’s something in it for them. In fact, they’re more likely to remain away from plane jumpers and ships alike. Those who interact with such travelers always have a personal agenda in mind. Despite this, they are not typically egoistic, as they often have a communal aspect to them. They travel the stars in pods, similar to whales in the sea, doing all they can to prevent anyone from falling behind in the galactic reaches. Protection of clan and extended family is an important virtue for such creatures. Author’s Note: I wanted to do a little bit more with my list of classic D&D monsters ported over into the realms of science fiction… Well… science-fantasy. Will these manifest in something else at one point? Most likely, yes! Anyway, here’s my take on a cosmic dragon that was scrapped from last week’s post due to time. Also, I’m going to be taking a little break from planar/science-fantasy.